"In cold damage (where) the yáng pulse is choppy, and the yīn pulse is wiry, as a rule there should be urgent abdominal pain; first give Xiǎo Jiàn Zhōng Tāng. If it is not reduced, Xiǎo Chái Hú Tāng governs." The liver and gall-bladder are from the same qì. If the gall-bladder fails to descend the cùn pulse will be choppy; if the liver fails to ascend, then the chǐ pulse will be wiry. (When) gall-bladder qì ascends counterflow, and restrains stomach-earth, abdominal pain will be seen in the chest and diaphragm. (If) the liver descends and restrains spleen-earth, abdominal pain will be seen in the abdomen and rib-sides. When wood qì is desiccated and dry, then pain will be urgent. When pathogenic factors are in both the liver and gall-bladder, wind-fire will be depressed, injuring central qì. Xiǎo Jiàn Zhōng Tāng is first used; Yí Táng, Gān Cǎo, and Dà Zǎo supplement spleen essence and moderate urgent pain. 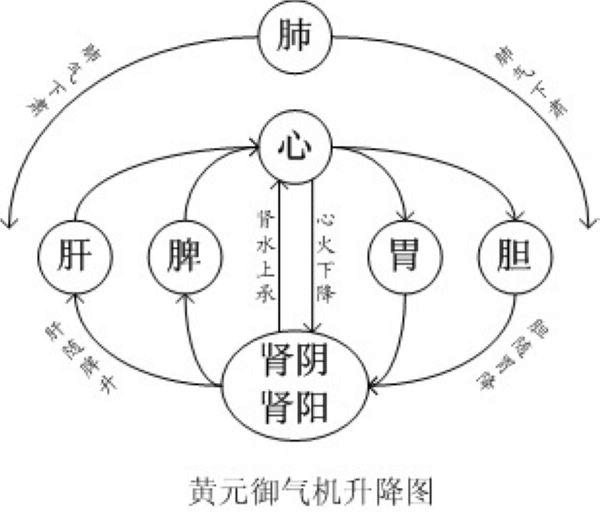 Shēng Jiāng, Guì Zhī and Sháo Yào outthrust wood depression and clear wind-fire. 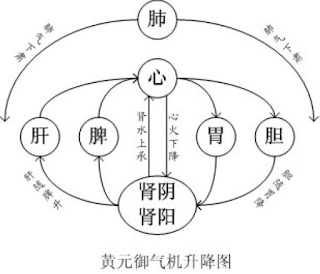 If it is not reduced and remains, give (Xiǎo) Chái Hú (Tāng) in order to drain ministerial fire.